From this page you may view articles submitted by our members and from various publications which you may find useful in perfecting your craft. 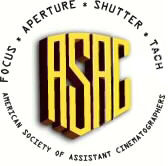 If you are a member and have an article (other than "a", "an", or "the") that you would like to share with other ASAC members, you may submit it to ASAC as a mail attachment. The document may be in any format, which we will convert to be viewed as a web page. Just use the email address that you received with your ASAC membership notification.